On earlier post I was happy that some progress has been made on my projects. The working on the projects resumed after two weeks gap. The Randje per week 2016 challenge is on time now. 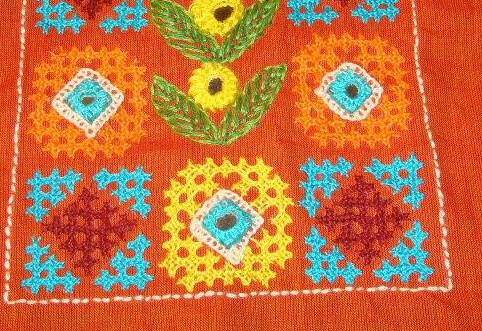 The stitches of the past weeks have been worked before. SharonB is asking for the opinion of break after 50 stitches. Since I am not working on the current stitches, the aspect of break is not an issue. 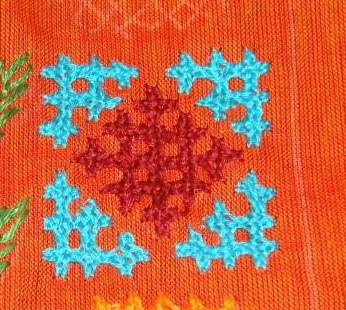 On my part I would like to learn more than the 140 stitches worked on the earlier challenge. After catching up on the RPW2016 challenge, this project was given full attention and was completed. it is yet to go to the tailor. 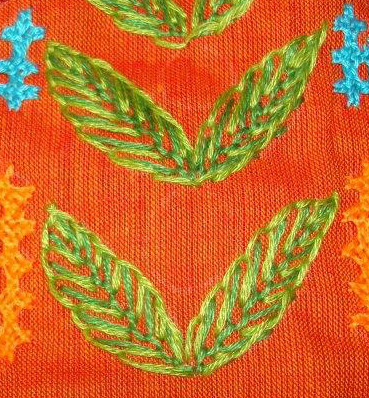 The embroidery details of this project will be posted after that. 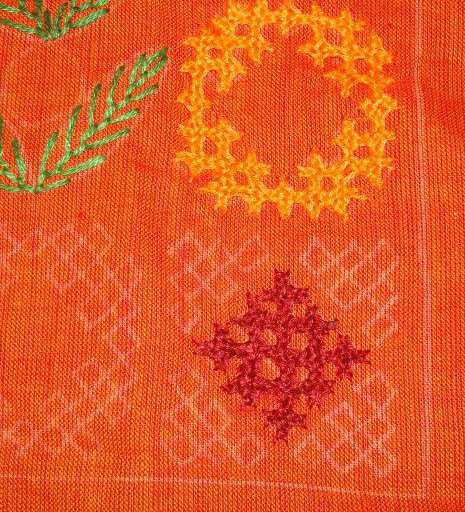 This project started with chain stitch worked in metallic thread. 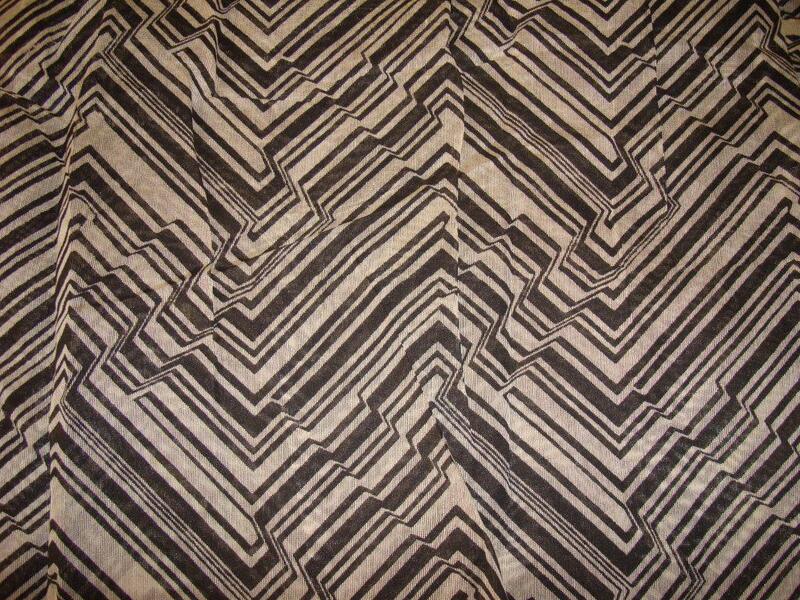 This tunic fabric was given to the tailor for sewing before I left for India. It came back like this. Ha has done a good job. 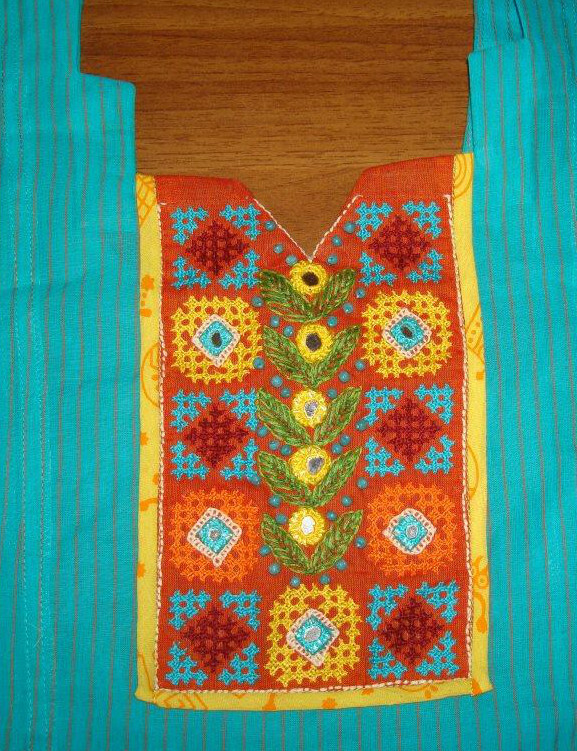 The space below the neck needs embroidery. 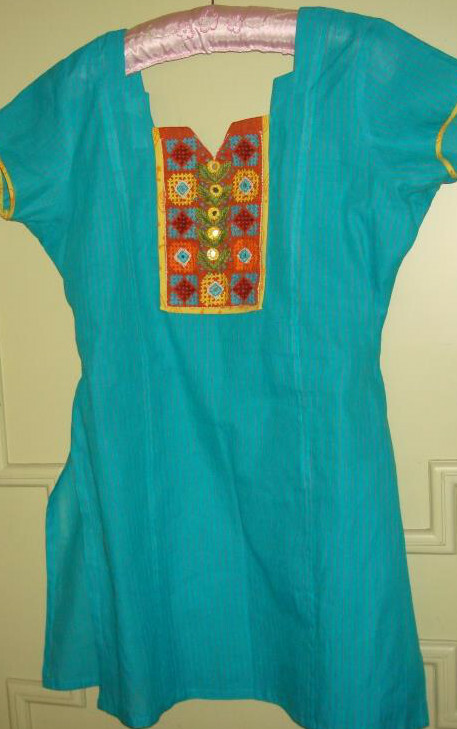 This will be the next project after the work on cream and black chanderi tunic. The chart on RPW 2016 challenge was completed on Saturday. 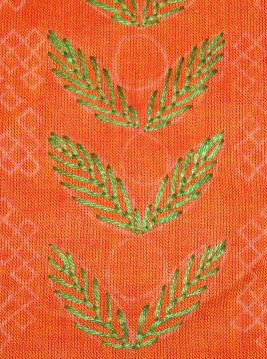 The stitch of the week on TAST 2016 is threaded cable chain. 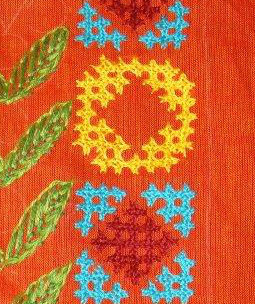 This was the last stitch on earlier TAST challenge. I had worked the samples then. 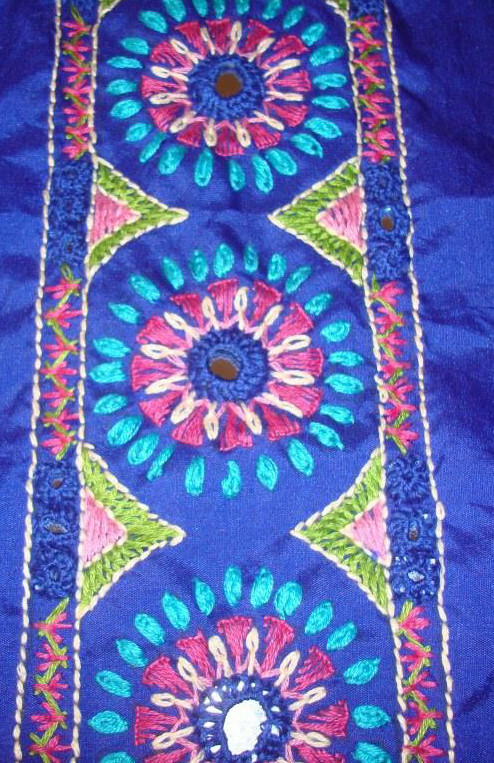 The work on this fabric was completed with the mirror work and sequins. 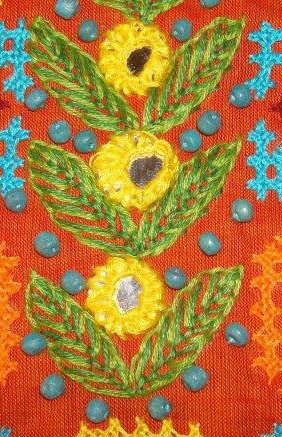 The details of the embroidery is posted here. This tunic is sewn now. 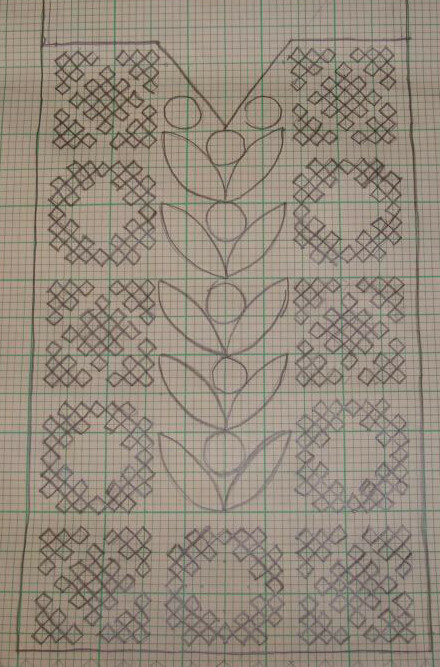 The next segment is designing the embroidery. A notion of using paisley shaped mirrors is lurking in the mind. 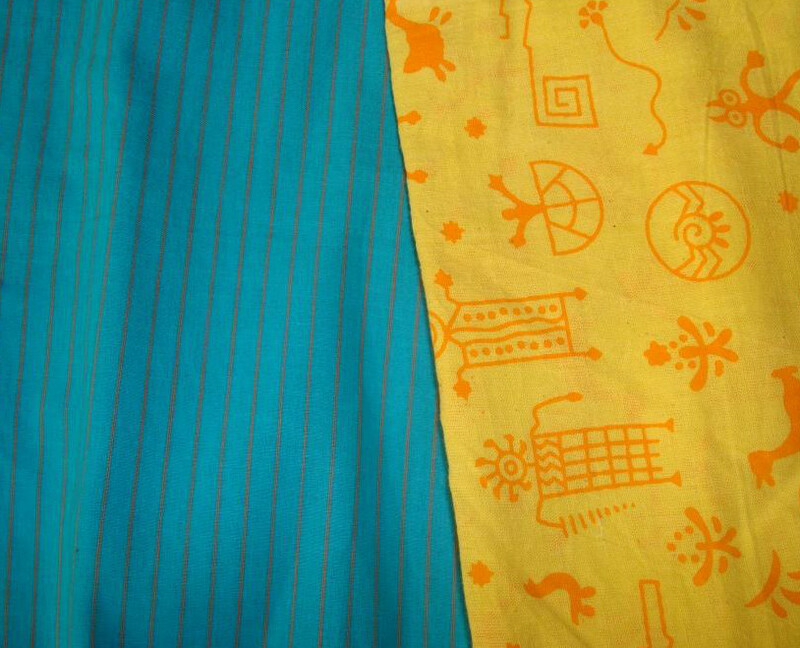 This the last in the set of three yokes designed in February, the tunic fabric is blue with stripes. 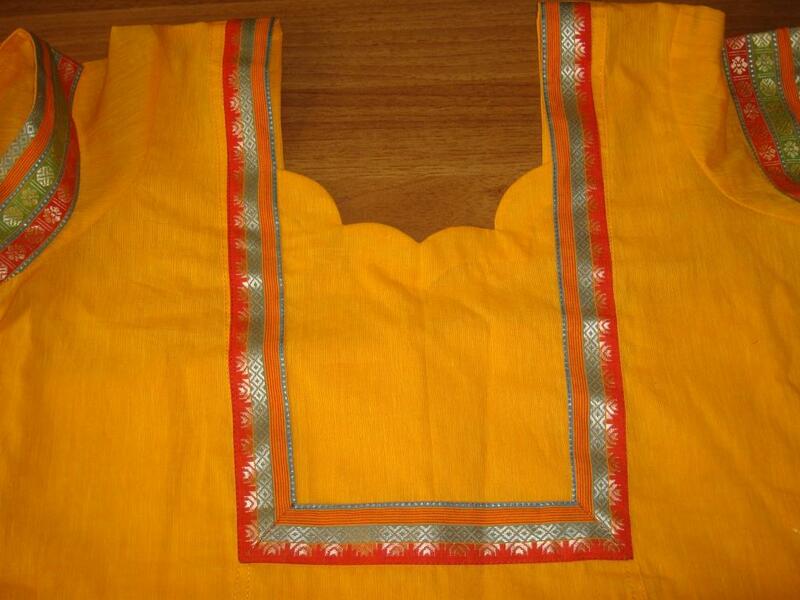 The Indian pants, this time is a Patiala salwar in yellow with orange print. 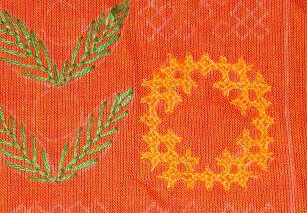 The pattern was drawn on an orange cotton fabric. 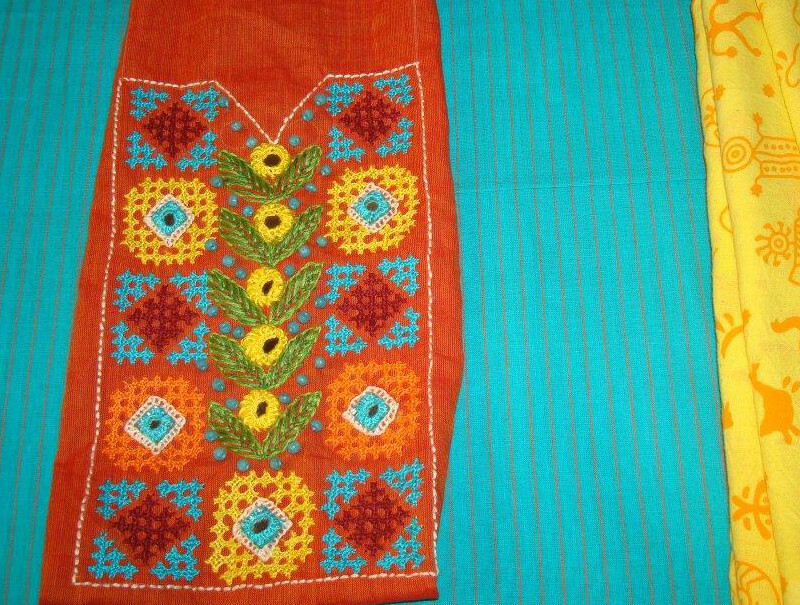 The embroidery is kutch work and mirror work together. 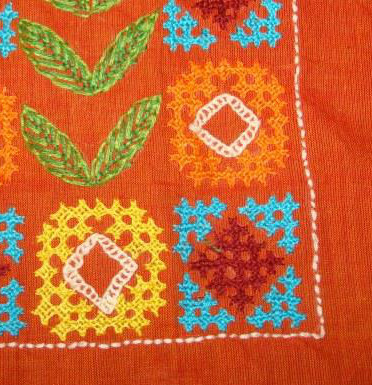 Started with fly stitches in green thread on the leaves and moved on to the orange kutch work motifs. This is the next project. A small border in black fabric with mirror discs and embroidery with gold and silk thread is the idea. The search for the pattern is on. This will be small border. I am happy with the progress made this week. Posting details while the project is still fresh in mind is motivating and energizing.